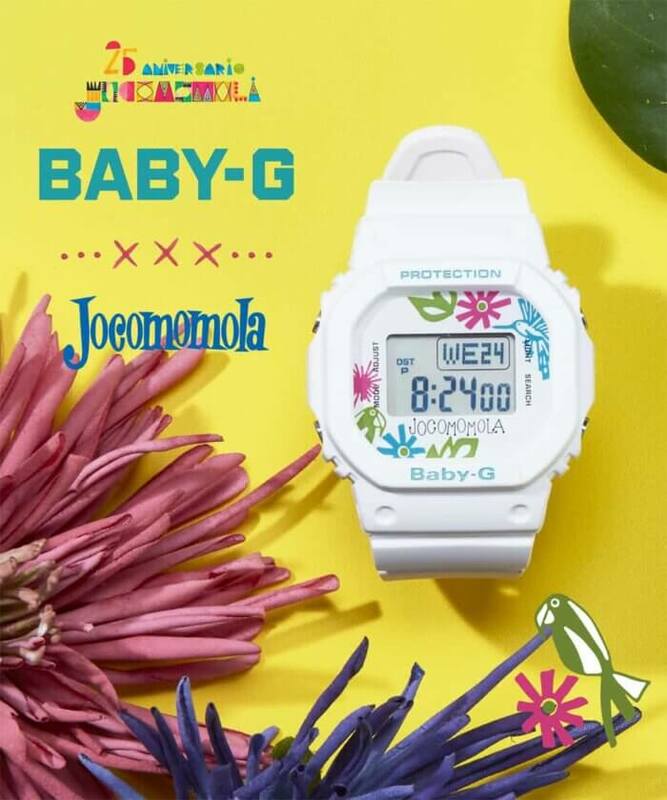 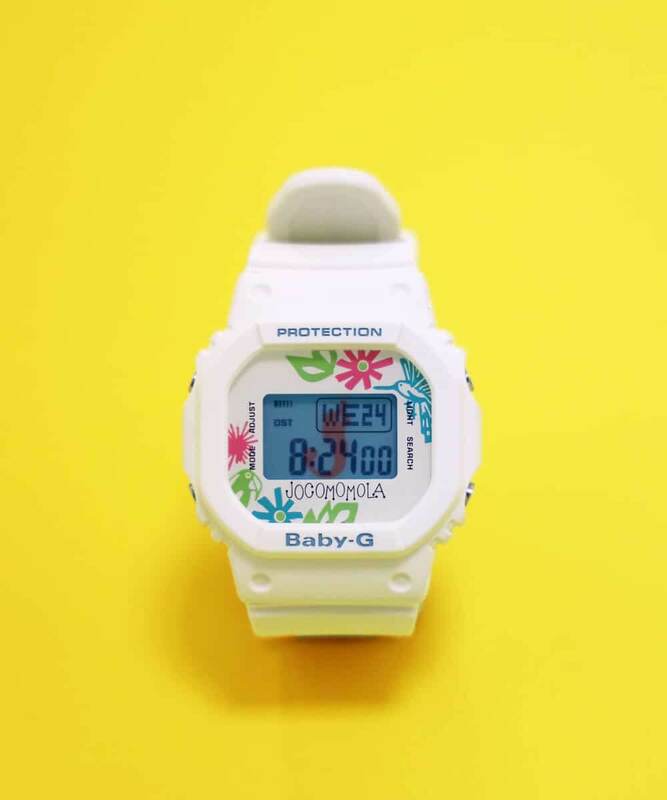 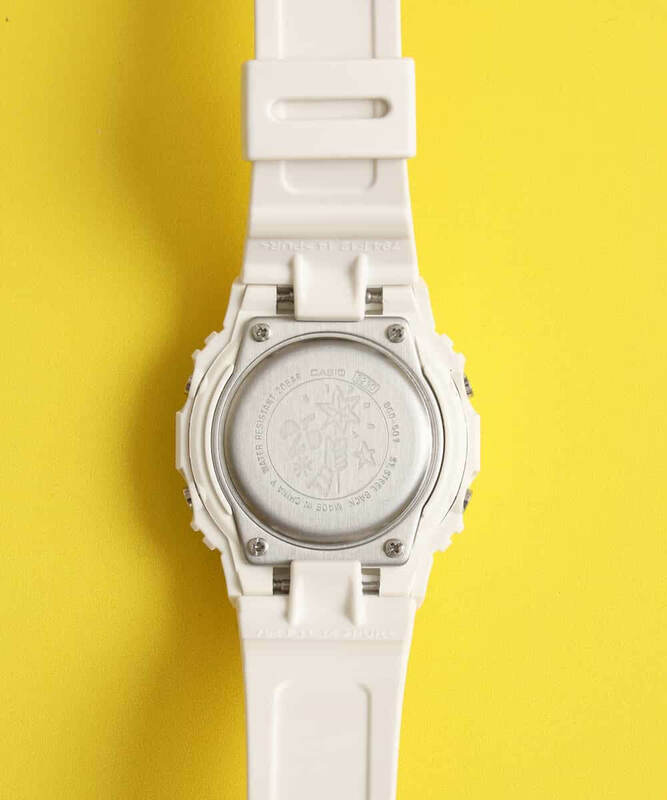 Japanese fashion brand Jocomomola is releasing a limited edition Baby-G watch in collaboration with Casio in celebration of the Baby-G 25th Anniversary. The base model is the BGD-501 which resembles the original Baby-G case of the DW-520 from 1994. 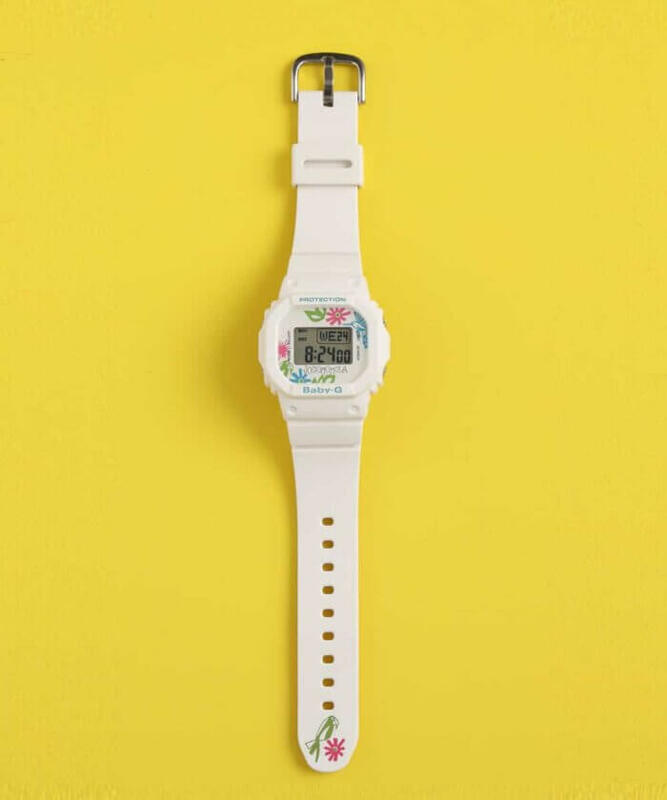 This limited edition watch features light blue bezel lettering, a whimsical design on the face made up of birds and flowers, a custom stamped 25th Anniversary case back, and a red mermaid silhouette on the EL backlight. 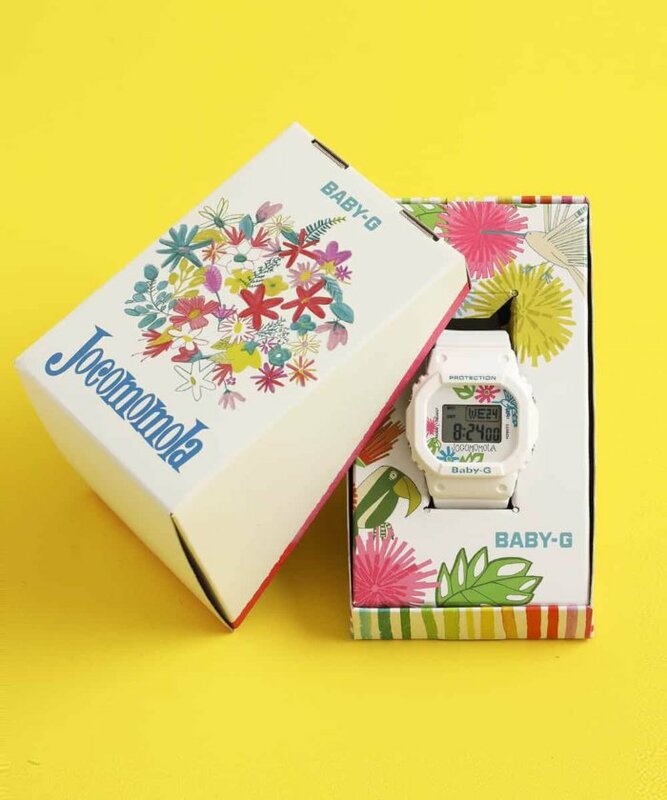 The Baby-G x Jocomomola watch is available at itokin.net for ¥14,800 JPY plus tax from 25 January to 3 February 2019.